There are two things I need to convey to you right now. Order doesn't matter. First: this website may get some reworking soon. The main problem, aside from its getting a little bit old, is that it's been gathering up a hefty bit of spam (which is why I've disabled commenting in recent posts). That should be remedied in the coming weeks. So stay tuned. Check back every now and then. 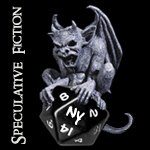 Better yet, subscribe via RSS feed or something so you know when something's new. 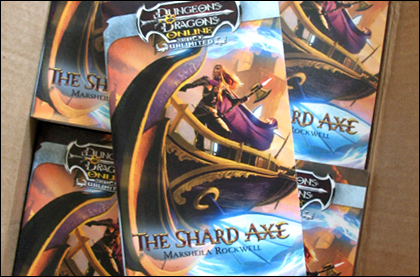 Second: Marcy Rockwell's new Eberron novel The Shard Axe has hit the virtual and physical shelves. You need to acquire it post haste. Buy one. Buy one for a friend. Buy a whole box of 'em. Just go and get one and keep Eberron going!